There are many simple tests you can perform if your engine is not running. Let's start with the fuel system. Is the shut-off on the tank open? Is there fuel in the sediment bowl, if so equipped? If you have downdraft carburetors, remove the flame arrestor and manually pump the throttle. There should be a small stream of fuel. The fuel pump can be tested with a pressure gauge. Before cranking over the engine, remove the coil wire so the engine will not start. Most pumps should hold 3 to 6 pounds with the engine cranking. 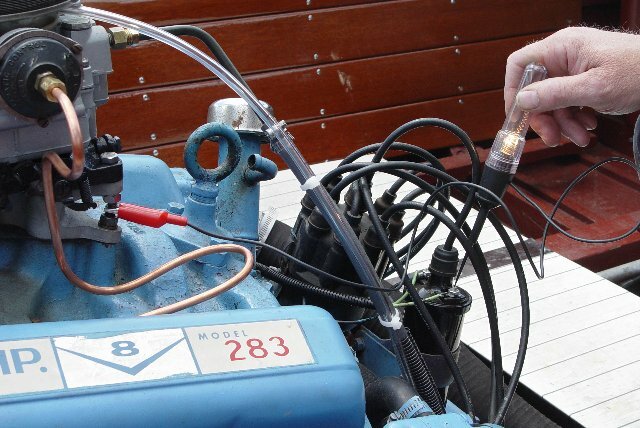 If no gauge is available you can loosen the fuel line from the carburetor, place a small can under the line, and crank the engine. Use caution so as not to spill fuel and clean up any leakage immediately. 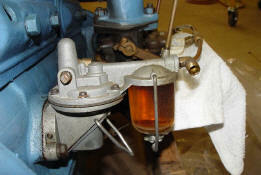 Any fuel filters should be checked and either cleaned or replaced. If you find there is no fuel, you must determine the cause and repair as needed. If your fuel system is in proper working order, move on to the ignition system. Again, there are many different systems. All pre-1975 engines came with a "points-style" ignition system. Most later engines have some type of electronic ignition system. Also, there are many early points systems out there that have been converted to an electronic system. All of these systems have a few things in common: they all require voltage to work and they all have a coil, cap, rotor, spark plugs, and wires. Lets start with a simple voltage test. Using a test light or voltmeter, turn the ignition key, and check for voltage on the positive side of the coil. It should test close to the battery voltage. 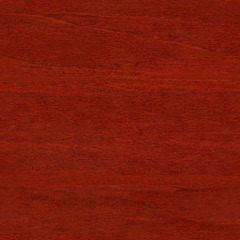 If there is no voltage on the coil, you will need to determine the cause. It could be the ignition switch, a broken wire, or loose connector, among other things. If there is voltage on the positive side move your tester to the negative side and crank the engine. The voltage should pulsate, causing the test light to flash on and off. If there is no voltage pulse at all on the negative side, there is a problem with either the points or the electronic ignition trigger. If you have points, remove the distributor cap and rotor and visually inspect the points. They should be clean and dry. If they are pitted, blue in color, rusted, or oily, replace them and the condenser. If you have electronic ignition, one test works most of the time. Remove the coil wire from the cap and hold it about 1/4 inch from a ground, then turn the ignition switch on and off. If there is a spark when you turn the key on and off, The electronic trigger is probably bad and must be replaced. If you have the proper voltage on the coil, then check the condition of the cap, rotor, and wires. The cap should be clean and dry. 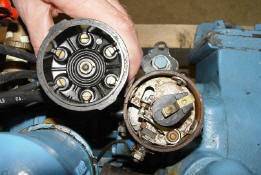 The contacts on the rotor and cap should be free of corrosion and burning. Inspect the cap for cracks. The cap should also be checked for corrosion where the plug wires connect. If there are any of these signs, replace the parts as needed. If all of these tests are ok and the cap rotor, wires, and points look good, you have a bad coil. Coils can be tested with an ohmmeter, but the specs might vary with manufacturer and type. If you need it tested, bring it to any good automotive garage or just replace it. If there is a cranking problem with your engine, the first place to start is with the battery. Is it fully charged? Just because a battery shows voltage doesn't mean it has cranking power. Test your battery with a hydrometer. All cells should read close to the same. A fully charged battery will read 10275 specific gravity. Check the battery connections for corrosion and looseness. If corroded, remove the cables and clean them properly. There are specific tools for cleaning your battery posts and cables, available at most auto parts stores. Also check, clean, and tighten the cable connections at the starter and ground connection on the block. If your battery doesn't stay charged, then there possibly is a problem with your charging system. Most earlier engine styles have a generator, while later styles have an alternator. Either is fine, but an alternator charges faster and also at slower rpm. If you have a 6-volt system, your charging system should put out 7 to 8 volts at the battery at about 2,00 engine rpm. If you have a 12-volt system there should be 13.5 to 14.2 volts at the battery at the same rpm. If you have any doubts about your charging system, find a good repair facility with the proper test equipment.